A sport that requires skill, patience, and technical precision, archery is something that may appear easy to an observer, but actually takes an immense amount of practice, focus, and hard work to perfect. Proper form, strength, stamina, and self-awareness are all necessary for consistent success in archery. And the only way to get to this level is through work and repetition. Just like a language or new instrument isn’t learned in a single day, archery skill takes time to develop and maintain as well. Whether participants are involved in a competition, hunting, or just recreational shooters, the most fundamental basis for archery is shooting practice. Refining your technique and creating muscle memory through shooting is the only way to increase skill and comfort with your shooting style and equipment. Targets are made from many different materials, in all shapes and sizes. The most basic target of all is the foam archery target, a product The Foam Factory is proud to offer to beginners and experts alike. Offered as a 2 inch thick, 23 inch by 24 inch polyethylene sheet, these targets have a foam density of 6 pounds for a target that’s resilient and strong without damaging arrows. Depending on the power of the bow being shot, multiple panels can be layered to double, triple, or quadruple target thickness to prevent arrows passing through targets completely. Blow-throughs are a safety hazard and an easy way to lose or damage arrows. Polyethylene is a closed-cell, chemically cross-linked material. This means its interior cells are closed off to one another, helping it resist moisture and absorption. Open-cell foam is the opposite, where every cell is interconnected; part of the reason it is such an absorbent material. Even after it’s penetrated by arrows, the physical makeup of polyethylene is resistant to mold, mildew and bacteria, so if moisture does gain access to ruptured cells, it will not compromise the integrity of the product. Its flexibility and shock absorption make it excellent for handling high-power shots as well. The 2 inch polyethylene foam archery targets have a smooth, water-resistant skin on either side of the foam target face, which improves its outdoor utility. The greater 6 pound density offers more performance material and mass than lower density foam, within the same dimensions. Polyethylene targets come in plain, unpainted sheets. This allows the user to apply their own target design or to even add a customized drawn-on target with a permanent marker, another benefit of its smooth outer skin. For serious archers with high-powered bows who take hundreds of shots a day, practice targets need to be able to provide a degree of durability that casual archers don’t require. People who take archery this seriously often make their own DIY targets, built to their specific shooting needs. These are often made of high-density materials like carpet squares or corrugated cardboard, layered one on top of another and compressed with a clamp system or straps. Closed-cell foam is also effective in these setups due to their compression ability, and can be tied down tightly to handle very high-powered shots without damaging the arrows or arrow tips. Foams like neoprene rubber sheet and polyethylene roll are perfect for these types of block foam DIY archery targets, as they are easy to work with, come in various sheet sizes, and are “self-healing” in that the material wants to fill in the void created by a piercing arrow. The Foam Factory sells their neoprene sheet in regular and high densities, in thicknesses from 1/8 of an inch to 2 inches, and sheet sizes either 80 by 24 inches or 80 by 48 inches. Polyethylene roll is available in 2 and 4 pound densities, thicknesses from 1/8 of an inch to a 1/2 inch and sheet sizes 60 inches wide, offered by the linear foot or 50 foot rolls. Archery is a craft as much as it is a sporting activity, but one that can be enjoyed by beginners and life-long archers alike. Whether you shoot as a way to relax and have fun, or shoot for practice to improve your skill for tournaments and clubs, a foam archery target from The Foam Factory is a smart, affordable decision. Note: The Foam Factory will not have any liability to anyone for incidental or consequential damages or any other liability, injury, loss or damage arising out of or related to our products, even if The Foam Factory or an authorized representative of The Foam Factory has been advised of the possibility of such damages. 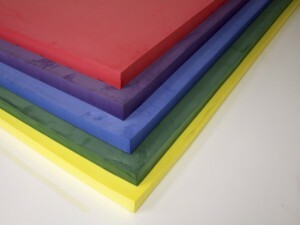 we need some Colored XLPE Sheets for orthotic production. please advise could you provide it? Yes we do have colored cross linked polyethylene foam. We suggest our 6LB polyethylene foam for your application. Hi please quoted me on the Archery foam please. 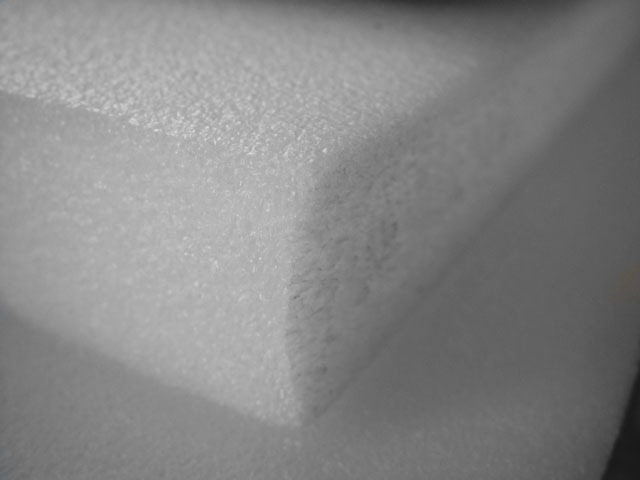 Please go to our polyethylene foam page. There will be a 6LB PE foam product size 2″ x 23″ x 24″ that can be used for that purpose. Is it possible to get a sample of of the archery target foam? Need to assess the stopping/slowing properties. ?